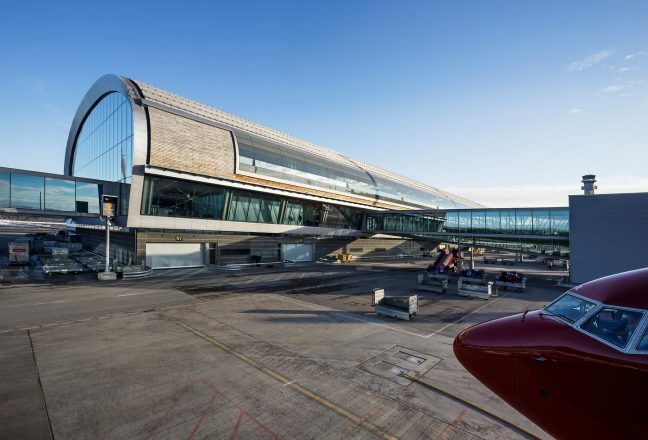 Designed by Nordic Office of Architecture, the 115,000 sqm expansion to Oslo Airport sets new standards in sustainability. 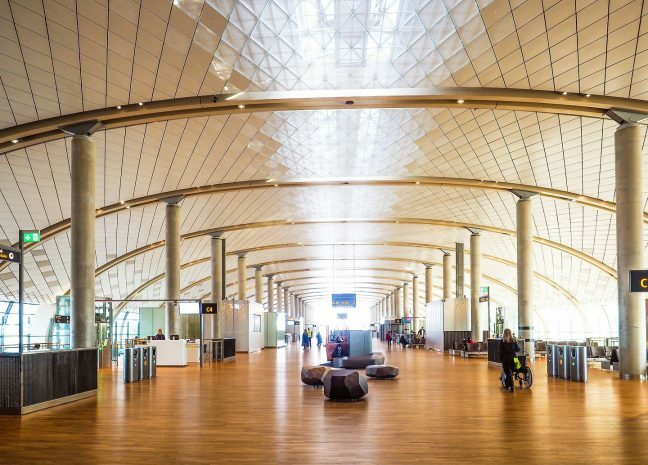 The competition-winning design, which uses snow as a coolant, has achieved the world’s first BREEAM ‘Excellent’ sustainability rating for an airport building. 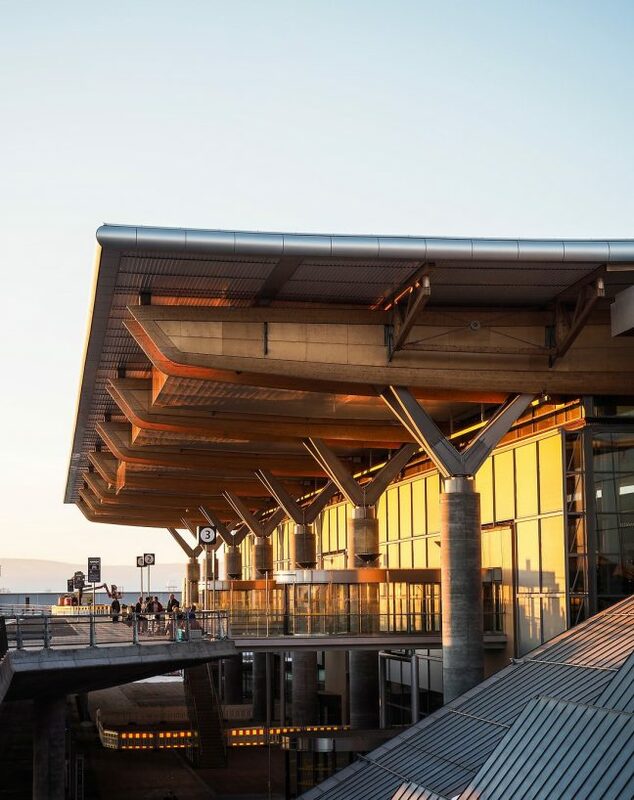 Natural materials have been used throughout the building: the new pier is entirely clad in timber sourced from Scandinavian forests. Recycled steel and special, environmentally friendly, concrete mixed with volcanic ash has been used throughout. By choosing environmentally friendly materials, the building’s CO2 emissions were reduced by 35%. Enhanced levels of insulation mean the project has achieved Passive House level performance standards. 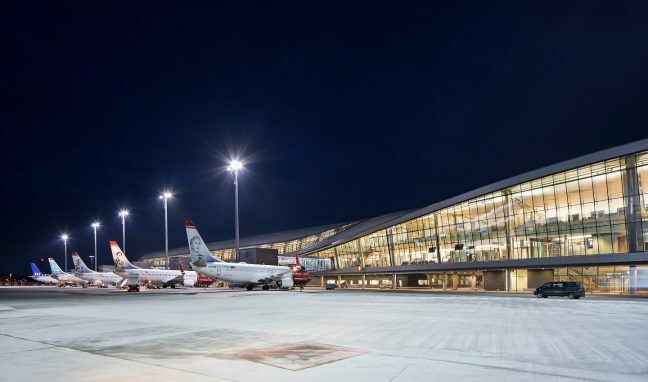 Energy consumption in the new expansion has been cut by more than 50% compared to the existing terminal. Passenger comfort and well-being have been key drivers of the design throughout. Artificial lighting is designed only as a minimal supplement to high levels of natural daylight, and can be set to reflect different moods according to weather, season and time of day. 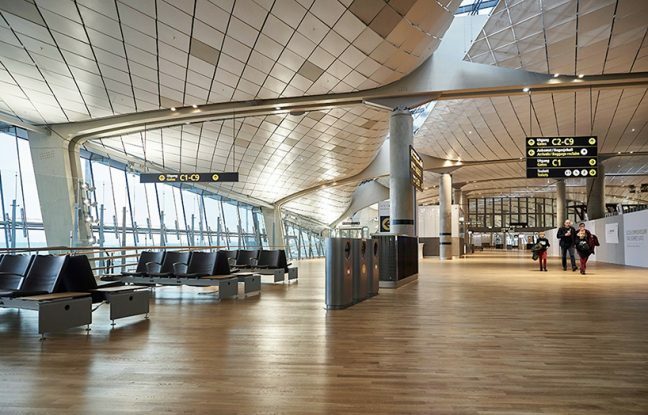 The compact layout of the building, transparency and open spaces enhances visual legibility and wayfinding, providing reassurance and peace of mind for travellers. A panoramic window at the north end of the pier, a 300-metre long skylight and curved glazed windows on both sides open up the view to the surrounding landscape and beyond. Green walls and water features, suggestive of Scandinavian forests enhance the experience for passengers as they move through the terminal. The retail units in duty-free areas have been conceived as organic stone forms associated with Norwegian landscapes. 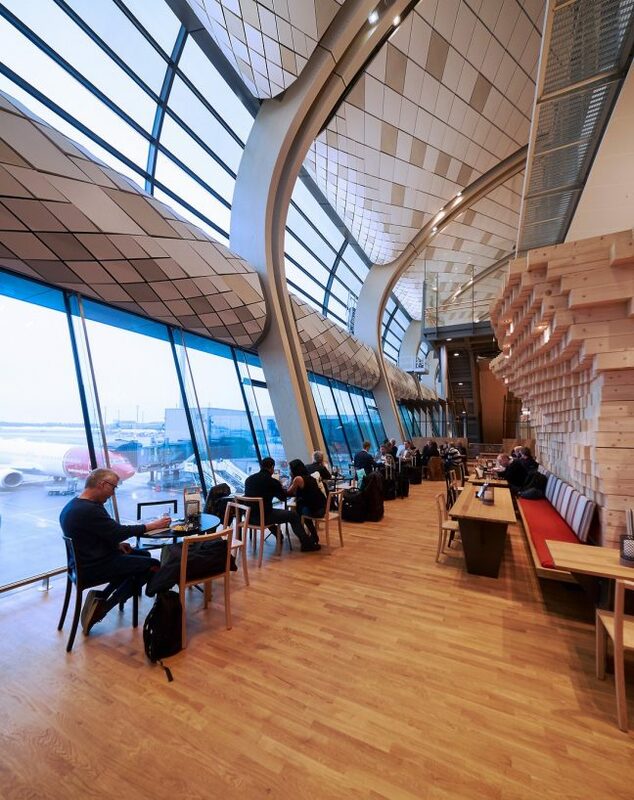 “We are delighted to have delivered a project which not only develops Oslo Airport’s distinctive architecture, but one which also provides a greatly enhanced experience for passengers,” commented Gudmund Stokke, Founder and Head of design at Nordic-Office of Architecture.